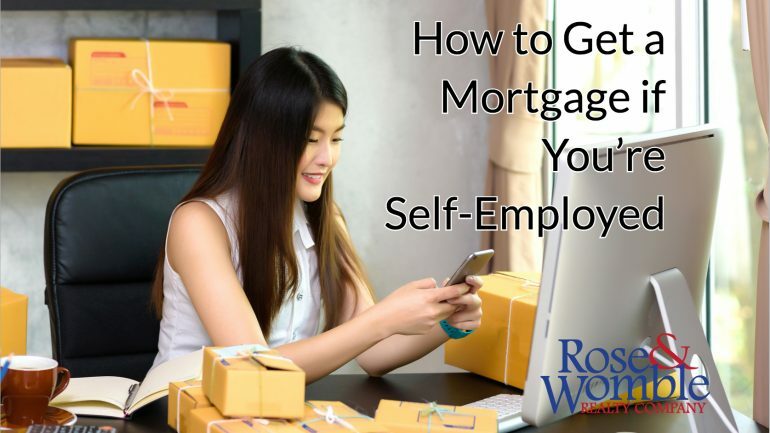 How to Get a Mortgage if You’re Self-Employed - Rose & Womble Realty Co. There are lots of perks to being your own boss. Freedom to create your own schedule, finding new challenges and opportunities and, of course, the satisfaction of watching your business grow. In fact, more than 50% of millennials say they are interested in entrepreneurship, and more than a quarter of millennials are already self-employed, according to the U.S. Chamber Foundation. But if you’re an entrepreneur looking to secure a mortgage, things can get a little tricky. 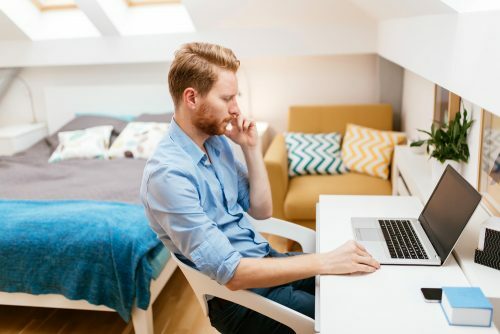 “With all the rules and regulations by which we have to follow, the self-employed borrower’s mortgage application process can seem quite arduous,” said Thao Balsamo, Loan Officer with TowneBank Mortgage in Virginia Beach. According to Thao, a borrower is self-employed if 25 percent or more of their income comes from commissions, or if their income comes from sole proprietorships, limited liability companies, partnerships, or corporations in which they have a 25 percent or greater ownership interest. So what makes the borrowing process more difficult for entrepreneurs? Well, the process as a whole is largely the same. The lender will still take your down payment, debt-to-income ratio and credit requirements into consideration, like with any mortgage. “Most lenders follow the same guidelines. But, a knowledgeable loan officer will know how to help navigate you through the loan application process—especially if you’re self-employed—and get you the mortgage you need,” says Thao. The difference is in the documentation required by the lender to verify income. 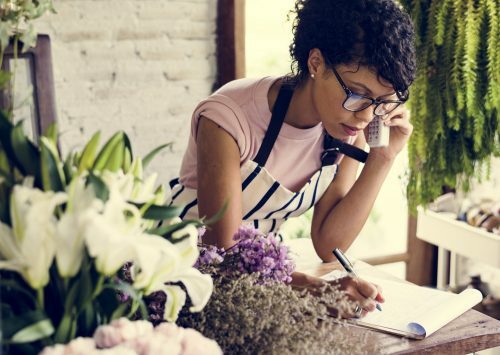 “If you’re a business owner, you have the flexibility of determining how you pay yourself, whether in the form of a W-2 or through a 1099. If you are not paying yourself a fixed salary, the lender will use your personal and business income tax returns as well as a YTD profit and loss statement to determine your qualifying income,” says Thao. If you pay yourself a fixed salary, your accountant will supply you with a W-2 at the end of the year that will be added to the business income. According to Thao, agency guidelines generally require that lenders obtain a two-year history of self-employment income via signed federal tax returns to determine the likelihood of continued income. “You should be ready to provide full tax returns (with all schedules and supporting documents-W-2s, 1099s, etc.) for the most recent 2 years. If you are applying for a mortgage after March 1 of the current year, you will also need a year-to-date profit and loss statement,” she said. If you have been self-employed for less than two years, that may be okay too. In this situation, your most recent signed federal income tax return will need to show income levels that are comparable or better and in the same line of work as during the last two years. So how does this make a difference? If you’re self-employed, you may be writing off business expenses that will lessen your tax burden. Tax deductions include a variety of expenses such as home office, transportation, equipment, education and more. While these deductions lower your tax burden and put more money in your pocket, it makes your net income less than it would be otherwise. When your net income decreases, it hurts your debt-to-income ratio. A debt-to-income ratio is your amount of monthly debt payments divided by your gross monthly income. Lenders prefer a debt-to-income ratio of 36 to 43 percent. A higher debt-to-income ratio could lower the loan amount that the borrower could qualify for. How can you increase your odds of being approved? If you’re self-employed, you should stay organized and plan ahead of time to increase your chances of being approved for the amount you want to borrow. If you are self-employed it would be prudent to meet with an experienced lender at the very beginning of the home buying process. That way you will be prepared early in the process, and not be surprised with the additional requirements during the rush before you move, says Thao.